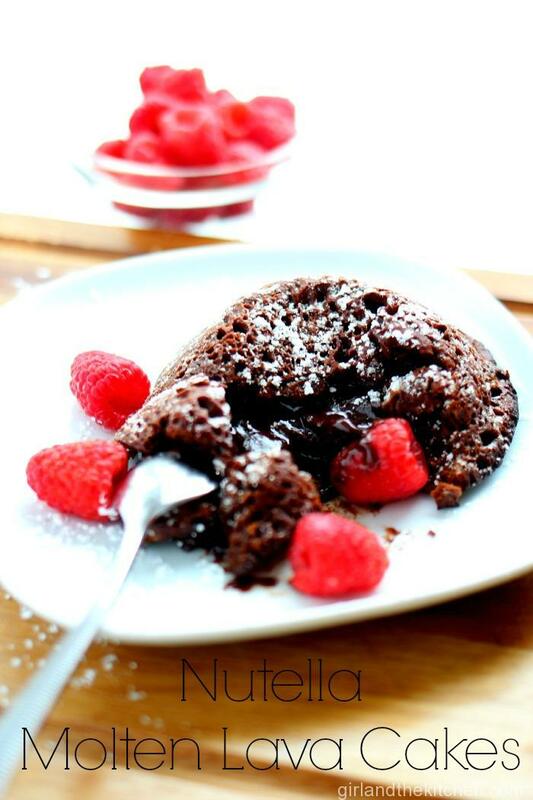 Gooey molten lava cakes ooze out pure chocolate goodness layered with Nutella. Dessert does not get more delicious or better yet easier than this! If the stomach is the way into a man’s heart then definitely the way to get into a woman’s heart is chocolate. Rich, decadent chocolate will make almost every woman melt. (pun intended). In honor of our upcoming Valentine’s Day holiday we are celebrating with non other than this luscious and ridiculously simple chocolaty dessert. And I am going to make this short and sweet…kind of like this dessert. No lovey dovey love stories… no cute love poems. 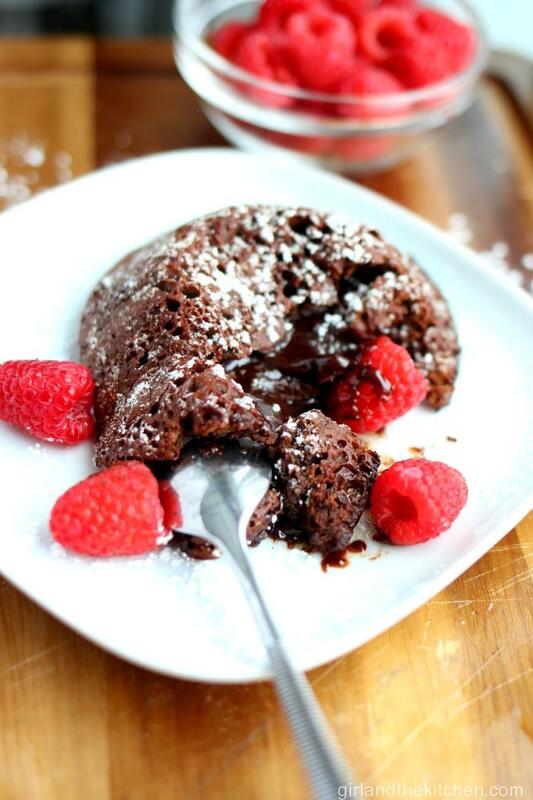 Just a straight up awesome dessert to whip up in under 20 minutes for your loved one…No matter how cheesy we all think this holiday is, no on will ever turn down a molten lava cake that is perfectly cooked on the outside and oozing with chocolaty Nutella goodness on the inside. By now, everyone should know my slight addiction to Nutella. I try and stick its royal nutiness into anything and everything sweet, I have done pretty well. This dessert is one of my go to desserts that always wows any guests and literally takes minutes to whip up. No fuss no muss no mixer needed. NO MIXER. All ingredients are mixed super quickly in one bowl and then baked off in ramekins. The little molten lava cakes are baked just until they are cooked through. So when they are cut into for the first bite, the gooey chocolaty goodness rolls out of the center of the cake leaving a beautiful brown chocolate trail down the plate. Start by preheating the oven to 475-degrees and butter up 6 ramekins. Melt chocolate, Nutella and butter in the microwave, double boiler or very slowly on the stove so as to not burn the chocolate. 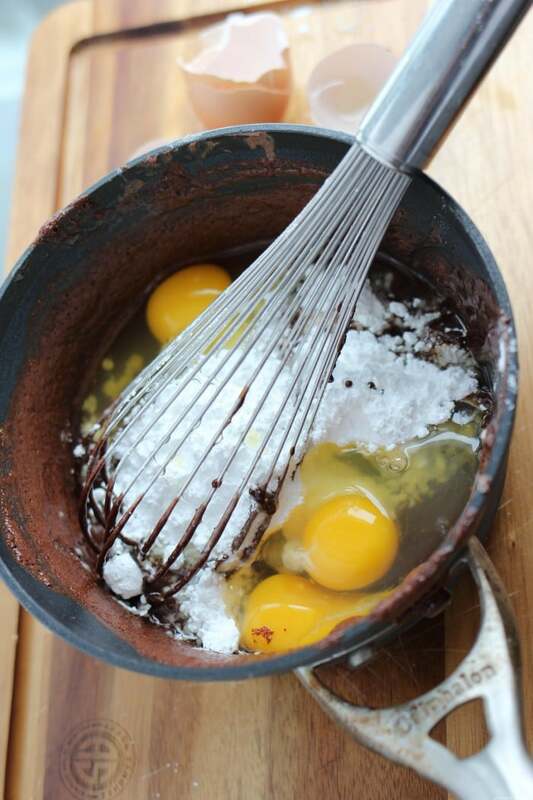 Add the flour and sugar mixture until smooth, combining with whisk, then add egg yolks. 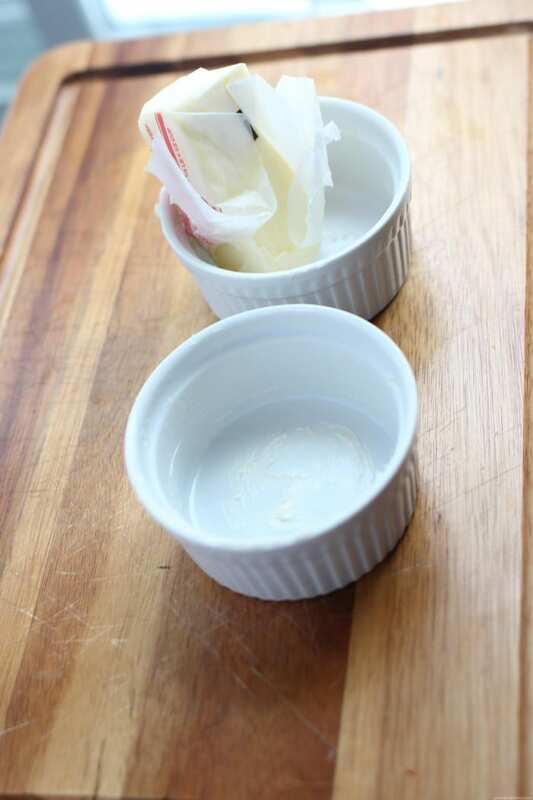 Pour into the buttered ramekins place on a baking sheet and place right into the oven for 14 minutes. Not a minute less or more. I do have a convection oven so temperatures may run differently in each oven. You may have to play around with it a bit. 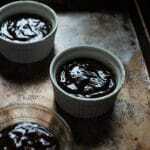 Once they are ready, cut around the rim of the ramekin with a knife to ensure that it is loose. 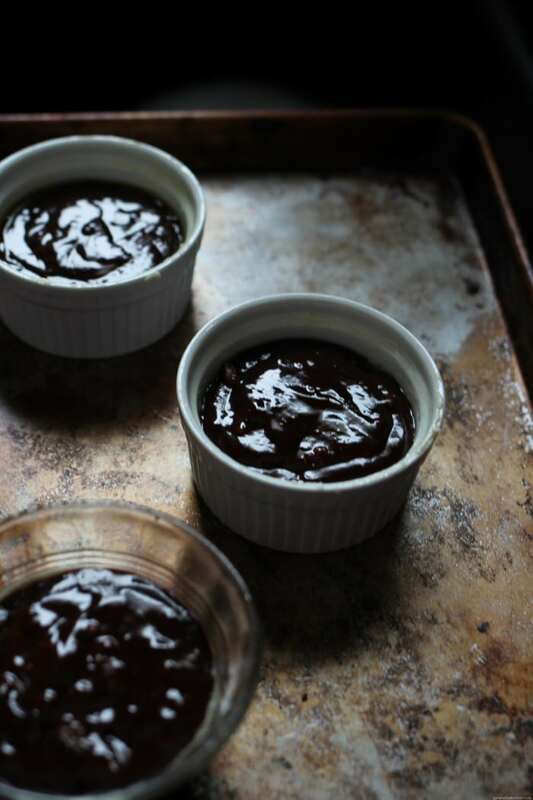 Place a plate on top of the ramekin and invert the ramekin, allowing for the cake to flip onto the plate. 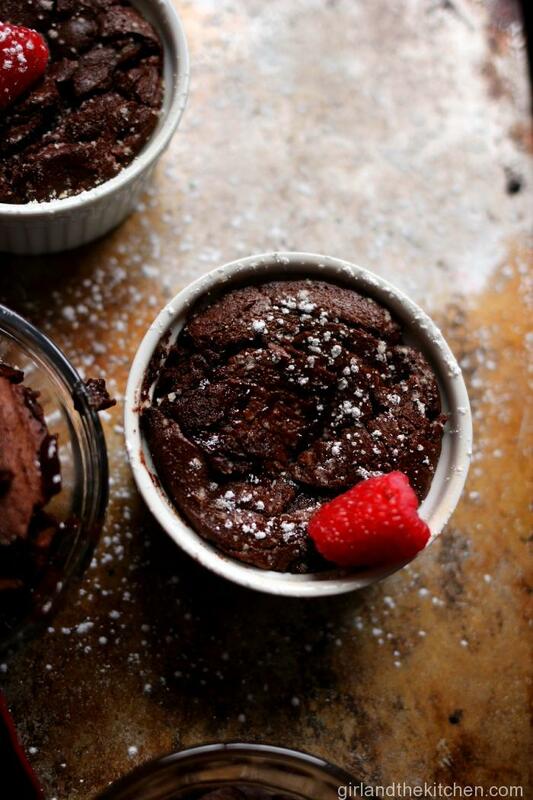 An elegant and simple chocolate dessert full of oozing chocolate that is prepped and cooked under 20 minutes! 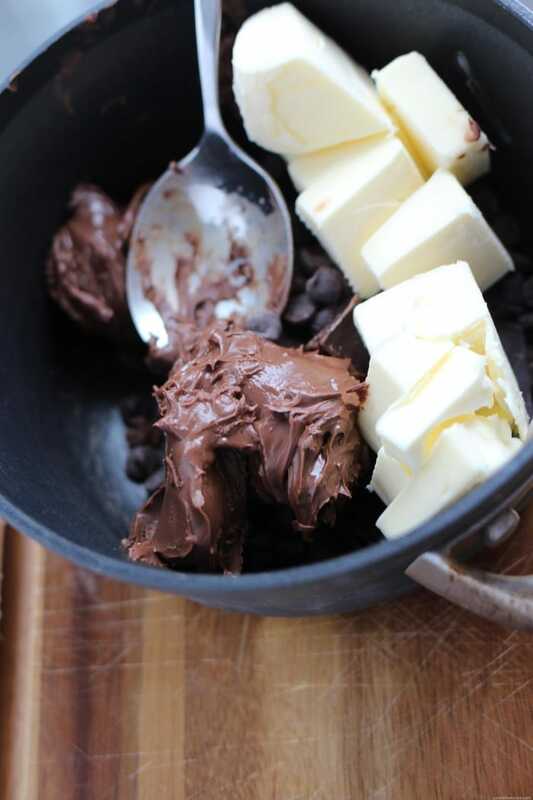 Melt the chocolates, Nutella and butter in the microwave, or in a double boiler. Add the flour and sugar to chocolate mixture. Stir in the eggs and yolks until smooth. Stir in the vanilla and liquor. Divide the batter evenly among the custard cups. Place in the oven and bake for 14 minutes not a minute more, not a minute less. The edges should be firm but the center will be runny. What a delicious dessert. I love the addition of the nutella. can you prepare ahead of time and bake later in the day? These lava cakes are AMAZING!!! Oooh … I’m in luuurve … WITH THESE! Oh, AND with my husband, of course. Sorry, hubs, but chocolate comes first! You temptress you!!!! These look absolutely elegant and delicious – I can’t believe how simple they are to make. Thank you love!!! I know the best part is the ease of it isn’t it 🙂 Happy Vday honey! Those look awesome! I literally cannot keep nutella around the house because I’ll eat an entire jar in less than a week! I might have to pick some up for this and practice self-control….. Thank you!!! Thank you so much! I also have a Nutella mug cake on the blog… And THAT you can do in the oven 🙂 Just saying 🙂 Off to visit your blog doll! 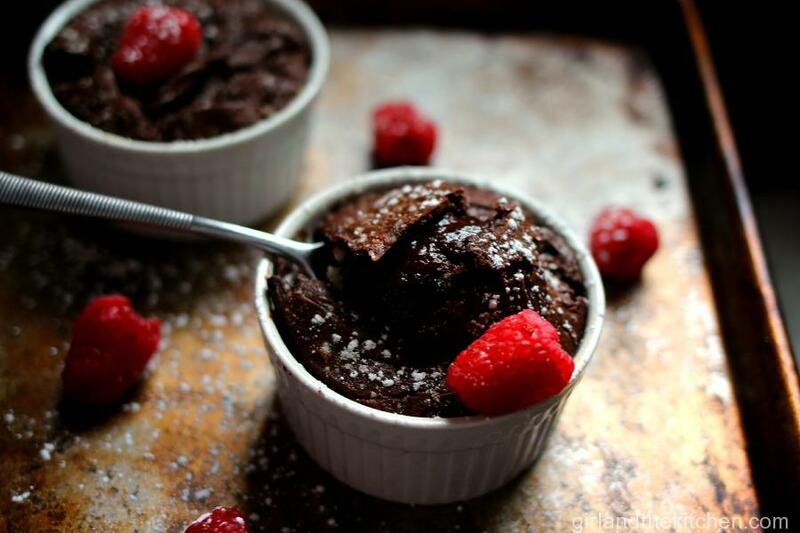 Thanks for sharing this recipe, I love Nutella and your dessert looks just heavenly. When do you add the liqueur? Hi Brenda! You add it in with the vanilla! How long do they hold for? Can I freeze them then Reheat? I just found this recipe tonight. I just made them and they were a hit thank you so much. They are delicious and easy to make. Yummo!! Yay!!!! 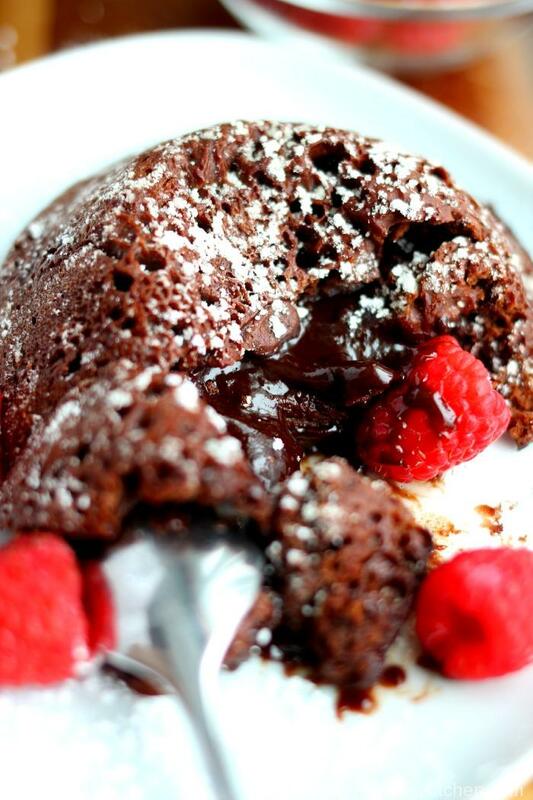 It’s always so incredible how simple molten lava cakes are!! !